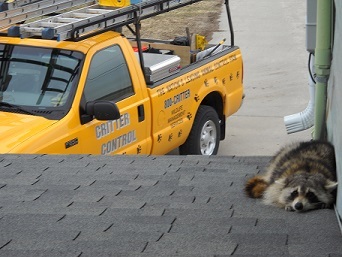 Critter Control®, with over 80 offices, is the nation’s leading wildlife control company and has been resolving customer wildlife and pest issues for over 30 years. Our highly skilled professionals are adept at dealing with many of the nation’s most bothersome pests and nuisance wildlife. Every day we resolve hundreds of nuisance wildlife and pest problems for homeowners, businesses and industrial facilities. 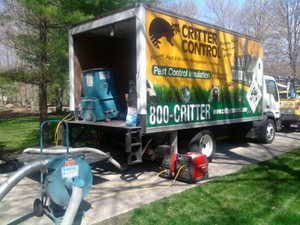 Whether you need to get rid of pesky raccoons, remove squirrels, rats, bats, snakes or opossums from inside your home or attic, trap moles that are ravaging your lawn or prevent pigeons from making a mess on your residential or commercial property, count on Critter Control® to get the job done in a safe, effective and humane manner. Founded in 1983, Critter Control® was developed around an entirely new vision for resolving nuisance wildlife and pest problems. All of our locations consistently practice humane wildlife management. We handle animals large and small, with a focus on vertebrate pests such as squirrels, rats, mice, snakes, raccoons, bats and a variety of birds. Our services focus on getting rid of unwanted wildlife and pests, repairing any damage they may have caused and finally keeping them from re-entering your home or business. We control rodents, provide bait stations and recurring service, remove larger vertebrate pests and perform an integrated variety of control approaches to wildlife management and animal damage repair and prevention. Trap-free solutions, such as one-way doors and eviction techniques, can solve wildlife conflicts without trapping. It is our policy to live trap and relocate animals to the extent that is practical, cost-effective and allowable under law. Call CRITTER® (509) 443-6757 to reach the Critter Control® office nearest you.